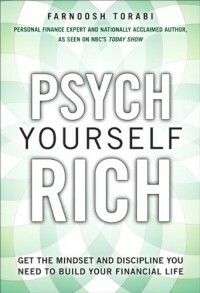 I’ve got a couple more books ahead of Psych Yourself Rich on my reading list. But once I get to it, I’ll definitely let you know. I just finished reading this book and I really enjoyed it. I completely agree that everyone should read this book; it really does uncover the connection between emotions and money and sets up simple steps to achieve a balance between both. Farnoosh’s writing is also enjoyable making it an easy read. what a crock. another get rich or get rich quick book? no thanks. only ones getting rich are the authors of this stuff. Crock..if the book was a crock of a book, I would tell you. I have always been true when reviewing. I really did like this book. Especially because I have always been interested in the link between our emotions and money. What makes some tick to spend while others are awesome savers. I truly recommend this book. Farnoosh is a great author who can teach you about becoming financially responsible. Read it. You’ll enjoy it. This review is so concise and well written. Although I already have the book and am about half through it, your review sums it up so well. Great job! Good luck to your Company!